The game has changed… The ALL NEW Mercury 15hp FourStroke battery-free EFI changes the way you will think about portable outboards. Lighter, more powerful, more efficient, more durable, more intuitive… unlike any other portable fourstroke. 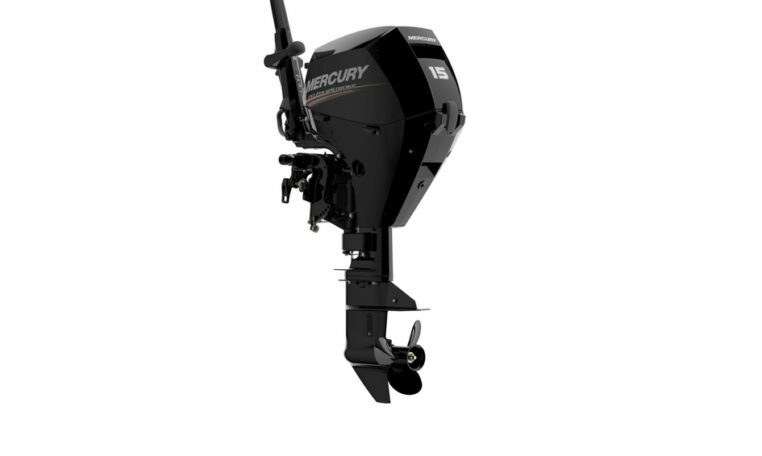 • Our lightest 15hp FourStroke ever • Best in class performance • Battery Free EFI for fast, reliable starting • New exclusive multi-functional tiller handle, adjustable for left or right handed operation All recreational Mercury outboard models from the 2.5 – 350hp range now come with 3+3= 6 years of warranty coverage. World class engines, world class support, that’s what you get when you buy a Mercury. Please note: Price is for base 15 MH engine only, for rigging and other combinations please contact us.